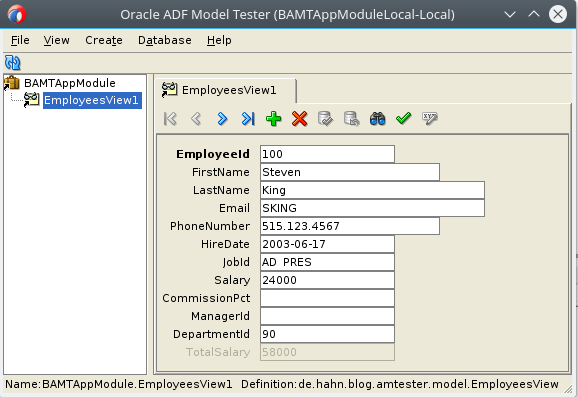 When you develop ADF Web Application you often use the ADF ApplicationModule Tester (BC4J Tester) to quickly test your business components data model and your self-written code in any EntityObject, ViewObject or ApplicationModule. 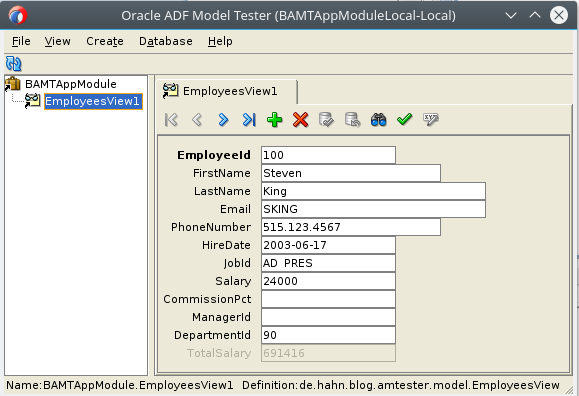 For more information about how to do this look at JDeveloper & ADF: Use the Application Module Tester (BC4J Tester) to Test all your BusinessLogic. Users who use one of the latest JDeveloper versions 12.2.1.1.0 and newer may have noticed, that the BC4J Tester application starts without an error, but doesn’t show the dialog. I run into this a couple of times lately and decided to dig into this problem. On the Oracle Development Spaces, I saw some threads about this too. The reason for this behavior is that any EO, VO or other methods in the application module have an error, which can’t be found during compile time. OK, so how do implement this use case? In the log window, but no dialog where we see the application module. We don’t get any hint about what went wrong. The tester is up and running, but we don’t see anything. This will solve this problem and the BC4J Tester will start up and show (see the images above). But what if we added more things to multiple objects? How to find the error then? I did not manage to get the same output using JDev 12.2.1.1.0 or newer, but you can get the same message in the message window. Whenever you start the BC4J Tester and don’t get any dialog, you can assume that there is an error in the application module. 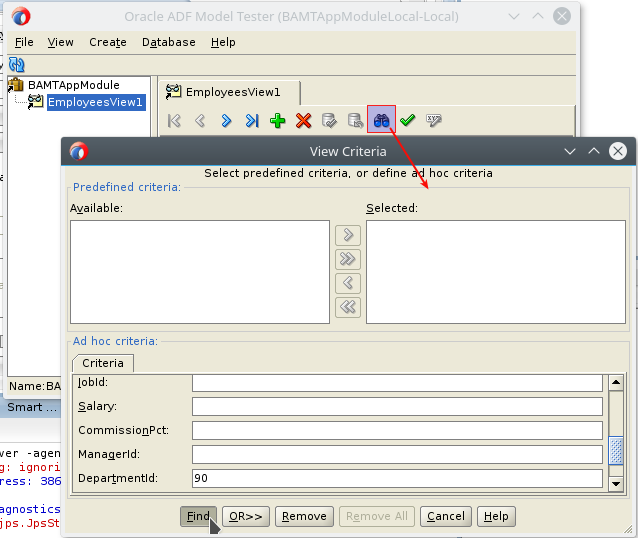 To find out what the problem is, add the java option to the model project and you get the detailed information in the log window.